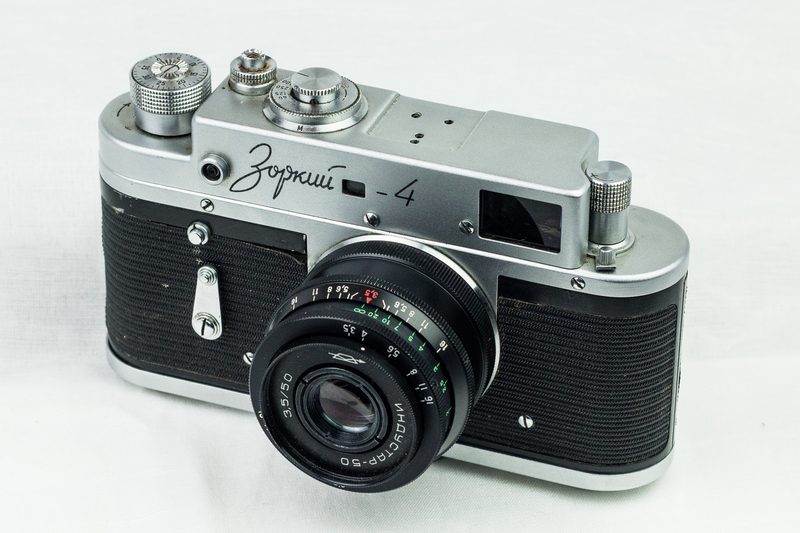 The Zorki 4 was a hugely successful rangefinder made by the KMZ factory in Krasnogorsk. Like the FED rangefinders, the original Zorki was a copy of a Leica II but subsequent iterations improved the basic design over time. Mine is from 1968 and is mostly functional, missing only the accessory shoe. Some of the silkscreened numbers on the speed dial have rubbed off too. Both FED in Ukraine and the KMZ factory in Krasnogorsk were tasked with producing copies of the Leica II rangefinder before WWII. The first models from both factories were direct copies but subsequent products diverged quite significantly. I own a few FED rangefinders and there’s a clear difference between the Zorki and the FEDs. 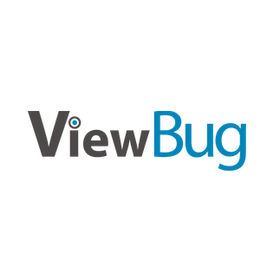 For the most part the FEDs are higher quality and seem to be aimed at a more discerning user than the Zorkis. My Zorki 4 is contemporary with the FED 2s in my collection so it’s easy to compare them side-by-side. The Zorki has a faster shutter, going all the way up to 1/1000th of a second and down to 1s but its not nearly as comfortable to use and the shutter doesn’t seem as accurate as the FED unit. The lens that came with mine is an Industar-50 50mm, f/3.5 which manages to be even worse than the Industar-61 that was standard on FEDs. It’s noticeably soft even at the centre with very dramatic falloff towards the edges at every aperture. The aperture ring is right at the end of the lens and hard to turn without also turning the focus ring which is annoying. Just as with the FED rangefinders however, the Zorki uses the LTM 39mm lens mount so there’s quite a wide range of much better glass that would be compatible if for some reason you were prohibited from spending any money on a better body. 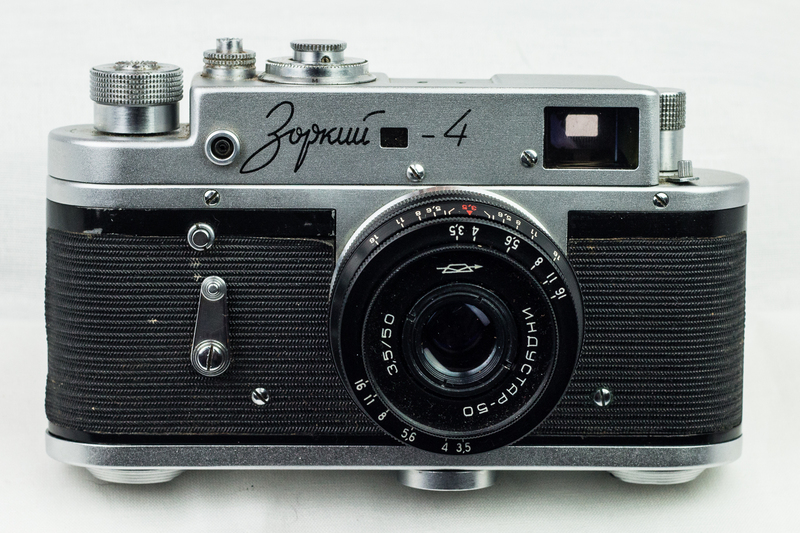 The Zorki 4 was one of the first Soviet cameras to be widely exported to the West so they crop up quite often outside the former Soviet bloc. It’s worth remembering however that the standard policy for the Soviet Union was to only export surpluses of the lower-end equipment that was produced, keeping better quality wares exclusively for the domestic market. If you wanted a really good Soviet rangefinder in the 1960s, you’d buy a Kiev 4 but the chances of finding one outside of the USSR at that time would be slim.